ROI for Managed IT Services: Are You Reaping the Returns You Should Be? When’s the last time you measured the ROI for your managed IT services? No one needs to tell you how important technology is to your business – you live it and breathe it every day. If your technology isn’t playing the role it’s supposed to, team productivity and morale go out the window. So, it’s no surprise that partnering with a managed IT service provider is an investment worth making. But rarely do we stop to wonder about the tangible return-on-investment (ROI) that a managed IT partner can offer an organization like yours. You know, the actual benefits and impacts to your bottom line that you can see. Sure, it helps to get annoying tech problems out of your hair, but the true ROI benefits that managed IT providers offer should be much more dynamic. First Things First: When it Comes to Managed Services, What Exactly is ROI? The tricky thing about managed services is that there is no ‘one-size-fits-all’ way to measure ROI benefits for businesses. Small businesses likely have much different service arrangements compared to medium or larger-sized businesses. However, when it comes to determining ROI for managed IT services, cost-efficiency and positive cash flow are benefits all businesses could make use of. The ways managed service providers can help open cash-flow for your organization is countless. It all depends on how your managed IT service agreement is laid out and on the extent of services you require. However, despite the type of business you’re in or the size of your operation, managed IT service providers should always provide a positive impact on your bottom line. As mentioned, the relationship that each business has with their managed IT partner will vary. Not every company or organization needs the same amount or type of IT support and service. Some larger entities will have dynamic network monitoring services and regular strategic sessions. Other, smaller entities will perhaps rely on more basic management and troubleshooting services. However, no matter the size or nature of the organization, there are some basic managed IT ROI benefits that professionals should be receiving. At the end of the day, an IT investment should ensure that technology is making the lives of your team easier, more secure, and ready for growth. Downtime is perhaps the most common and notorious money sucker that plagues the business world. It may sound cliché, but time really is money. If your team is stuck dealing with tech delays and old equipment, valuable minutes and hours of the work day are flying right out your office window. A managed IT service partner should offer dynamic support and strategic planning that helps streamline processes and boosts productivity in your office. Technology should always be working in your corner – helping you and your team get work done faster and simpler than ever before. 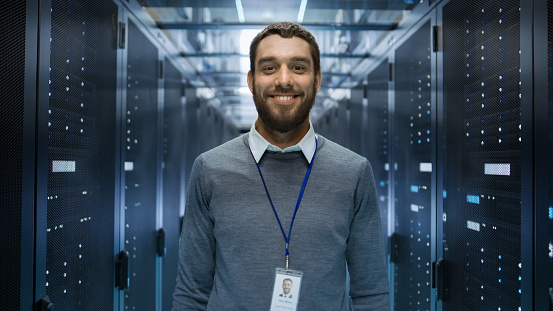 A good managed IT partner will ensure that your IT infrastructure is minimizing downtime and maintaining a healthy workflow during business hours. Another huge threat to your bottom line? Cybercriminals stealing data and demanding outrageous ransoms for the encrypted goods. Even worse, potential internal threats like disgruntled or untrustworthy employees looking to get their hands on company funds or information without authorization. In an increasingly digital workforce, internal and external security threats must be considered seriously. A reliable and strategic IT partner will have a detailed security plan that seeks to cover your organization at all endpoints. Your managed IT provider should be offering you consistent security support and peace of mind that your network is sufficiently monitored and secured. One of the most important – but often overlooked – ROI benefits for managed IT services is scalability. Business today changes rapidly and organizations must be able to keep up – not only with changing conditions but with developing technology as well. You and your team are busy enough trying to stay on top of your own industry trends. Your managed IT partner should be proactively managing your tech development. Whether your business grows or downsizes, a good IT partner is one step ahead of the game, prepared to modify your IT infrastructure as needed. This kind of support means you have a partner for the long-term – a dedicated IT expert willing to ride the waves with you. So, we’ve covered the basic ROI that your managed IT provider should be offering you regularly. However, there are other ways your IT partner can have a positive impact on your bottom line. Sometimes it’s the little things we overlook the most. However, the little changes that a managed service provider implements really do add up over time. Saving costs on paper and energy aren’t just good for you – it’s good for the planet. A good managed IT provider is going to ensure that your technology is set up to use as little paper as possible and will ensure energy waste is kept to a minimum. By keeping your energy and paper waste low, your bottom line will definitely see some operational relief. Another great benefit that a managed service provider can offer is a huge decrease in tech investment. Businesses are able to rent equipment directly from providers instead of making huge upfront investments on their own devices. This allows organizations to transfer IT spending from Capital Expenses (CapEx) to Operational Expenses (OpEx). Making this switch means your company can reap big tax deductions to boost ROI. Perhaps the most valuable benefit that managed IT providers offer is the bonus of having a knowledgeable expert in your corner. Not only does it help to have someone to call upon – it’s priceless to have someone teaching you to be your own expert. A good IT partner is going to pass on as much expertise to you and your team as possible. Think of it as cost-free training! Encouraging and empowering your team means they’ll feel more confident to use technology efficiently and effectively. A morale boost like that can only have positive impacts on your bottom line. At the end of the day, the best way to get a concrete idea of your managed IT ROI is to have an open and honest conversation with your current or potential provider. A good and worthwhile provider is going to want you to understand all the benefits you’re getting from the investment. Hold them accountable and have them offer a detailed explanation of how you’ll benefit from this investment. Tech support is pretty much a non-negotiable investment these days. However, it doesn’t have to be an investment that you stress about or lose anything from. In fact, as we’ve mentioned, establishing a strong IT partnership should positively impact your cost/profit margins. Take the time to understand what you’re looking for from an IT provider and talk with them transparently about what you expect to see in return. You’ll be surprised how much ROI the right managed IT provider can offer!